I still think he juices or does HGH. It is pretty much unprecedented that an athlete his size plays this many games without any serious injury. He is especially large this year, playing huge minutes, at 32 or 33 years of age. Unbelievable. Why are worrying about what LeBron does.... our goal should be to become a steady force in the league... I think we are progressing every year so at some point we will be championship challengers... LeBron will be 34 next summer.. I suspect he does HGH. I have never seen him gotten a season-ending injury or a serious injury before. Especially for his caliber of player. We are/will be good enough to just have to worry about ourselves. But Lebron in Philly is a strong option for him and a would give us a great renewal of historic rivalry. He would also stay in the east, that has been his constant. I kind of like it. Even though my boy Šarić would definitely be gone then. Why don't we just enjoy this REAL winning streak and stop worrying about a HYPOTHETICAL future? As others have said, Simmons and Lebron are redundant. But even more important is that I don't think Lebron would want to pin his late career title hopes to Embiid's health. I mean, he could. But the odds are that if he does, many other NBA players are doing so as well, and they still get injured. The NBA is in its third season of blood testing for hGH (two tests in season and one out of season). I don’t believe they’ve yet caught anyone. Embiid up to now has been fragile. Simmons is not a winner. Fultz looks to be a dud. LeBron is a mess right now. 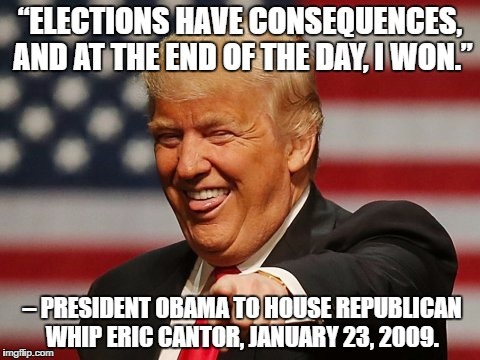 Why not add one more loser to the fold? you have to respect his drive and commitment. Getting to the finals and losing because that is a drive I see most of the time. Beyond his gifts, the man works as hard as anyone, and he's smart about it; he keeps picking up new wrinkles to his game. The game he went nuclear on the wizards earlier this year, most of his buckets were postups. That wasn't in his game, or it was barely in his game, 5-10 years ago. He has a better supporting cast than he had when he came into the league but he is no longer carrying the team the way he used to do so in terms of the Cavs. He is not a leader. Sabotages most of the coaches he has ever had. That being said he is still a great player. Definitely an elite player. I don't think he will age nearly as well as you do. We are already seeing signs of some athletic fading. He won't take it well because he has never handled adversity well. You say he isn’t carrying his team. Did you watch last year’s finals? He was the best player on the court, either team, though Durant was close. He was playing better than forty minutes a night, and his team basically lost the series in the few minutes he sat. This was against a team with at least 2, maybe 3, HOF players hat crushed western conference opponents in the playoffs. I’m not sure what else he was supposed to do. This year his efficiency is up there at career peaks, still at a ridiculously high volume. People say he’s lost explosiveness. He probably has. But I still see him routinely get downhill on the leavue’s best shot lockers and convert his shots at the rim at an elite rate. I do agree that he’s so ball dominant he may undermine his team’s potential, and while I don’t know if for a fact, it doesn’t seem like he listens to his coaches. I would love to see what would happen if he played for a CBS or Steve Kerr and decided to buy in to a system. Maybe he’ll change as he ages; probably not. That might be the most important thing: what does he want to do with his last years in the league. Would he share the crown. Great players win. Face it, he is a Jerry West or Wilt Chamberlain not a Michael Jordan. Still great but not a winner. People say he’s lost explosiveness. He probably has. But I still see him routinely get downhill on the leavue’s best shot lockers and convert his shots at the rim at an elite rate. He has lost some but he had such great to begin he is probably on par with the league still. One of the reason he is a shot locker (blocker) is the league officiates differnetly for him. He can freely pin balls on the backboard when it is a goal tending for anyone else. I live in Ohio. I am a Celtics Fan and have never been a LeBron fan because I always have to hear about him. I can say with 100% that I never want to see this egotistic pompous guy never on the Celtics. I am probably more than a little biased against him. He is a great player but its always been more me than team. The crown stuff is nauseating to him. What exactly is the King of again? It ain't winning finals. He has been the best player in the league for a decade perhaps that is it. But father time beats all men. I don't root for guys that don't wear the Celtics uniform, if I did I would be on their blog. You have every right to post whatever you want here. But we are going to have to agree to disagree. I grew up in Worcester and I generally do cheer for any Celtic. At one time I loved to hate LBJ. Time has come that I have a huge, grudging respect for his work ethic and skill. I think you’re underselling a lot of the winning he has done. But I do take your point that he might have undermined himself with some of the decisions he’s made. Sometimes great players are too stubborn and proud for their own good. Who went nuts about the Sixers beating the Clippers? They also beat the Rockets and no one went nuts. The Sixers have played one of the toughest schedules so far with 10 road games out of 14. If they can finish .500 in the 1st half of the season and Embiid stays healthy, they should make the playoffs since their 2nd half schedule is much easier. That would be a good result for their season. Why would the TWolves get many comments? They are in the West and aren't getting by GSW. Butler certainly makes them better. They lost the 2 games he didn't play by 20+ points. Wiggins and Towns have played 3+ and 2+ years. The last 1+ years playing for Thibs and they are still poor defenders. If Lebron leaves the Cavs, he doesn't have any great options. If I'm the Sixers, I wouldn't pursue Lebron and would hope that Lebron didn't express any public interest in being on the Sixers. The Lebron/Simmons fit would be problematic but could be worked around. The Lebron baggage would be a lot more difficult. He's not just going to come in and fit into their system. How would he work with Coach Brown who their players like and respect? If I'm the Sixers, the player I'd probably pursue first would be Paul George. He's a better fit for their system, he doesn't have the baggage and he's 5 years younger. George, Embiid, Simmons, Covington plus Fultz, if he gets his act together, would be a threat to be worried about. Well if Embiid stays healthy most of this season (we'll see), and Simmons keeps it up and wins ROTY, it definitely looks real enticing (esp. with rise of Covington, too). But it's weird, because I feel if Lebron leaves CLE again and joins a team like this, it will make him look even worse than Durant honestly, ESPECIALLY if the Celtics beat Lebron's team in the ECF (sort of like how it went 2010, Lebron loses to Boston, leaves for a better-equipped team w/more potential & opportunity). I don't think Lebron wants to go to LA so he can win basketball games, I think he wants to go to LA because he wants to live in LA. I could totally see Lebron joining the Sixers. He will choose the best team for him to have a chance at winning more titles and going west makes little sense as there are too many good teams. 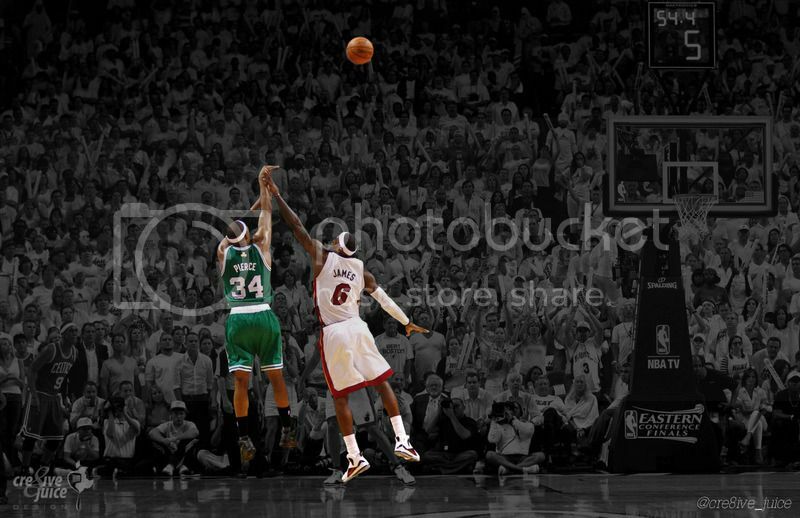 I would also love to see Lebron quit on his teammates in an ECF vs the Celtics one more time in my life. It would be priceless. In the East, they make the most sense for him to get back to the finals and win. I mean he could go to Houston or Warriors and take less money but we know that will never happen. If his desire to win more titles is over, then Lakers make a ton of sense for him. But, I would also not count out the Lakers signing two superstars to add to their youth. But, in reality, that will not be enough to beat the Warriors who would still be superior. Should be interesting to see the decision part 2.